Blue stripes hype white lens imprinted sunglasses are the soul of the party scene with their cool and overpowering theme. This white lens imprinted sunglasses can be paired with all types of crazy clothes that you wear to the party. It is a best seller amongst the party hosts who wish to seek it for gifting favor. This lens imprinted sunglass also makes a great corporate giveaway during pool side parties, or outdoor corporate picnics. 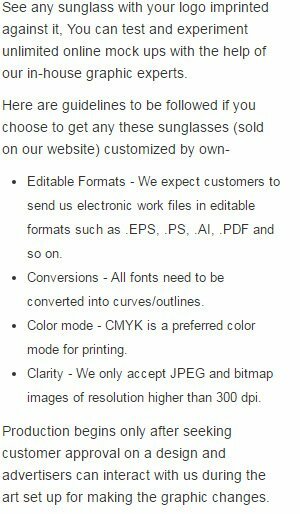 Cool avatar and cool price savings are the two benefits that can be availed on ordering this hype white lens imprinted sunglass in bulk. Highlights - 4 -Co lor process highlight. Blue stripe hype lenses. White glass frames.